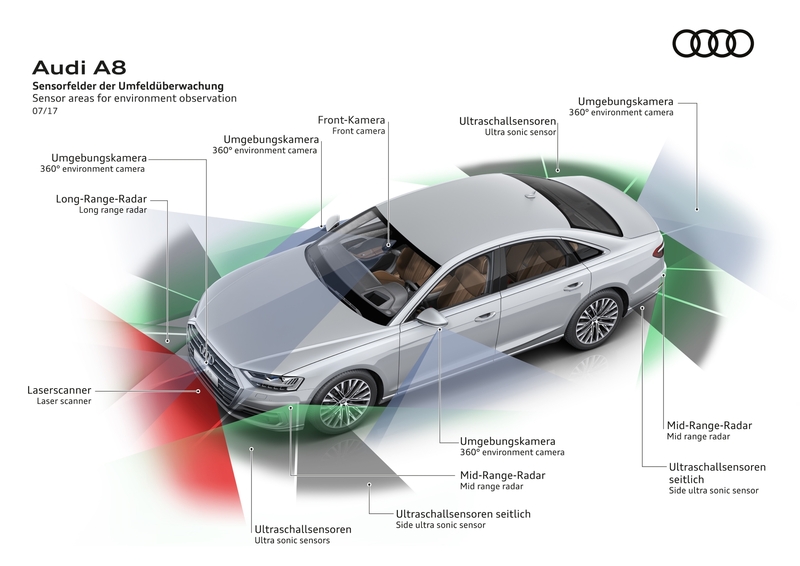 Intel processing power will be part of autonomous driving systems on the 2018 Audi A8, it was revealed today. The Silicon Valley Business Journal reported that Audi will use processors from Intel’s Programmable Solutions Group (PSG) and from its Wind River subsidiary as part of the self-driving system that will allow for Level 3 autonomous driving, among the most sophisticated technology that will be on the road. Intel created its Programmable Solutions Group from the former Altera Corp. Intel closed on its acquisition of Altera in December 2015. PSG is responsible for Intel’s field programmable gate array technology. FPGAs allow for great flexibility in the programming of hardware and software, and are often used in the Internet of Things and the data center. Wind River, an Intel company, supplies the VxWorks operating system for electronic control units. The VxWorks platform supports safe architecture, memory/safety monitoring and other systems. The Altera portion is doing the object fusion, map fusion, parking, pre-crash, processing and functional safety aspects of the self-driving car system. As previously announced, Mobileye is also in the solution. In March, Intel announced its intention to purchase Mobileye; that acquisition has yet to close.